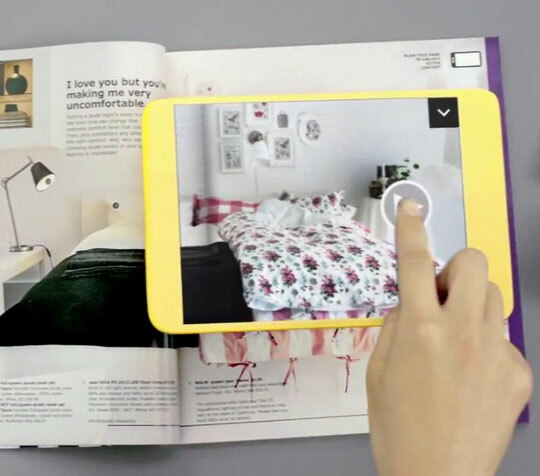 By Dax – For those who didn’t already download the ingenious iPad app of Ikea, there is more. The next edition of the legandary Swedish catalogue will be equiped with extra images, content, videos, 3D,… to enhance the offline experience of the brand. Simply scroll over the pages who are indicated with a smartphone icon to open up a whole new digital world. Amazing! Augmented reality let’s you add computer-generated objects such as images, videos, content, 3D,… to a real-live object to enhance the user experience. More on Wikipedia. ← The myth of privatisation.